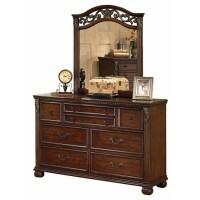 Made with select birch veneer and hardwood solids. 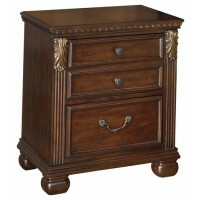 Fluted pilasters have leaf form corbels. 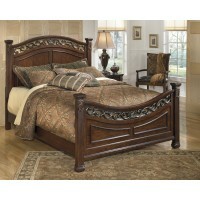 Drawers and bed panels have bead frames. 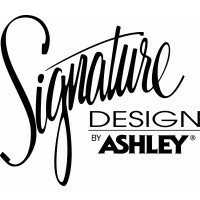 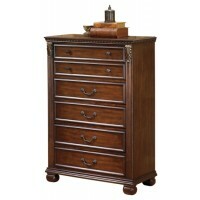 Drawers have ornate bail or knobs in an antique brass color finish. 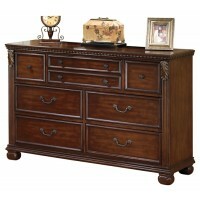 Drawer boxes are French/English dovetail in a natural color and use a center metal and wood glide system. 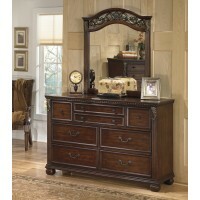 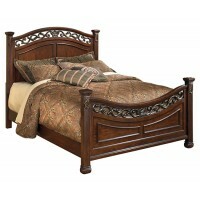 Mirror and bed feature a cast foliage filigree in a warm metallic color finish.